“While it stretches the imagination to devise a mechanism that could operate over distances of 500 kilometers, Io’s volcanism is far more extreme than anything we have on Earth and continues to amaze and baffle us,” said Katherine de Kleer, an astronomer at UC Berkeley. 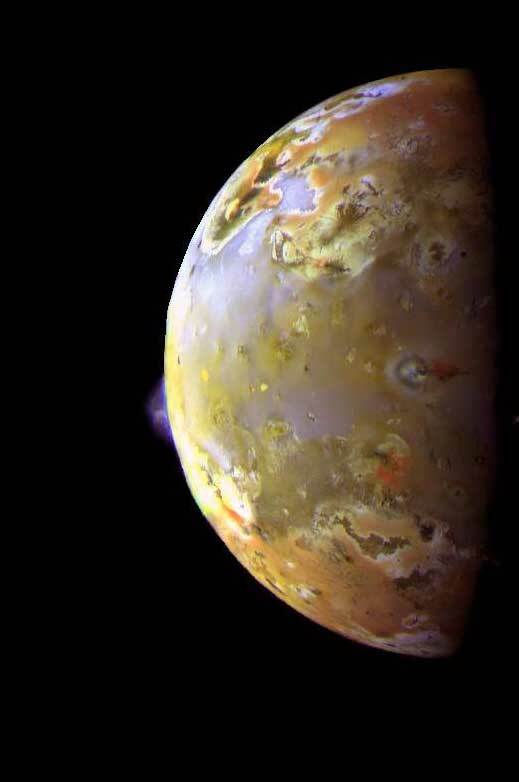 Jupiter’s moon Io continues to be the most volcanically active body in the solar system, as documented by the longest series of frequent, high-resolution observations of the moon’s thermal emission ever obtained. In February 2001 an eruption from Io's Surt volcano erupted with an estimated output of 78,000 Gigawatts. By comparison, the 1992 eruption of Mt Etna, Sicily, was estimated at 12 Gigawatts. Interestingly, some of the eruptions appeared to progress across the surface over time, as if one triggered another 500 kilometers away..
After an apparent cessation of brightening events after 2002, de Pater observed renewed activity in 2009. “With the renewed activity, the waves traveled clockwise around the lava lake,” she noted.